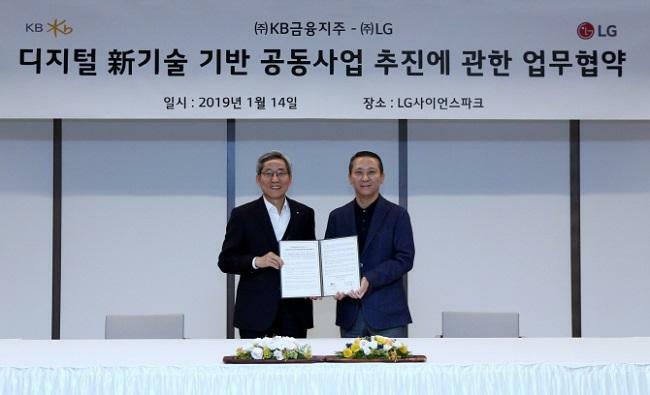 KB Financial Group, a South Korean financial holding company, has signed a memorandum of understanding (MOU) with LG Group to jointly develop and promote projects based on digital technologies such as blockchain and artificial intelligence (AI). Under the agreement, the companies will collaborate and use their technical and business capabilities to develop products and services in order to provide higher value to customers. As a first project, the companies have decided to develop a new service infrastructure based on blockchain technology, the release said. “In the case of consortium type businesses, reliability and scalability are important. However, it does not consider the use of "[cryptocurrency], which fluctuates in price according to demand”,” it added (via online translation). This, however, is not the first time that KB Financial Group and LG Group have joined forces. Previously, the companies had teamed up for business projects such as enhancing payment services, automation of insurance compensation, and others. "The new MOU is not only to verify our technology levels but also to introduce various services that satisfy customer demands," an official said (as quoted by The Korea Times).